This week focuses on ornaments, decorating the Christmas Tree, Stockings, and wrapping presents! Sign up for my free newsletter and receive a free copy of my sample lesson plans here! 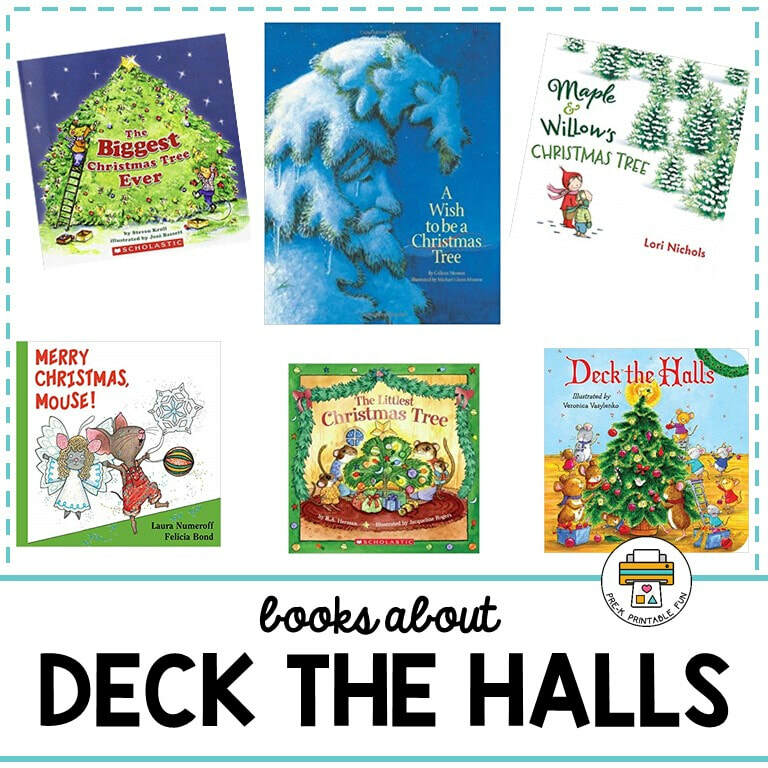 See how our customers are using the activities inside our Deck the Halls activity pack! Transform your Art Space into a Card making Station. Add Old Cards that can be cut, Pre-folded Cards, Holiday Stickers, Holiday Stamps for decorating, Scraps of Holiday paper, etc. Don't forget to add Card Making Words to the space (To, From, Love, etc.). Check out this card making station from Childhood 101. Ornament Making Station: How about adding an Ornament Making Station to your Art Space this week? 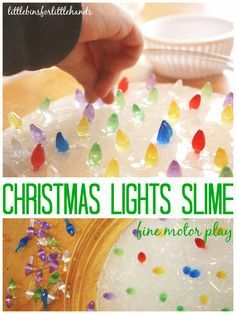 Add Pre-cut Paper, Wooden, or plastic Ornaments to the space. Add pens, stamps, stickers and other embellishments for decorating. 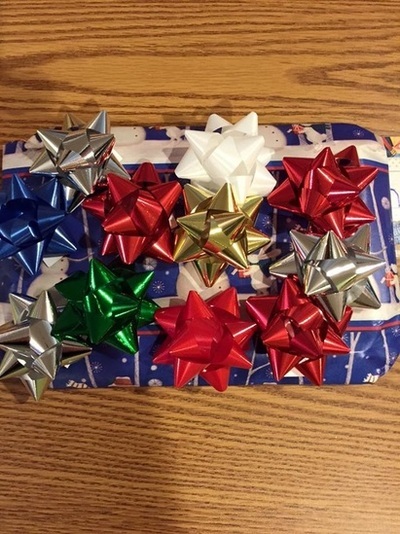 Kids love Wrapping Gifts! Add small boxes, tape, wrapping paper, Gift Bags, Bows, and Tissue Paper. 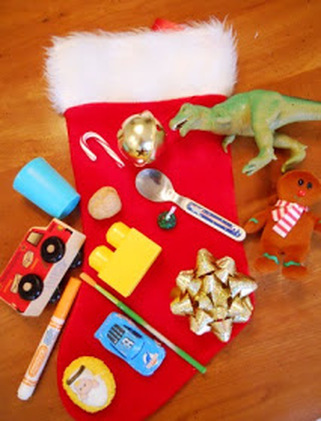 Set aside a box of "Gifts" that children can wrap and take home. Check out the Wrapping Station from The Activity Mom. 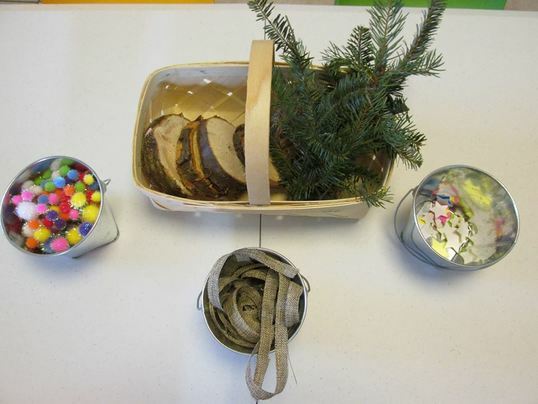 Tree Decorating Station: Invite children to decorate a tree. Add mini trees and all of the tree decorating accessories! This adorable tree making activity Erica P. of Erica's Educare Learning center made using mini trees, and pom pom & foam sticker decorations. 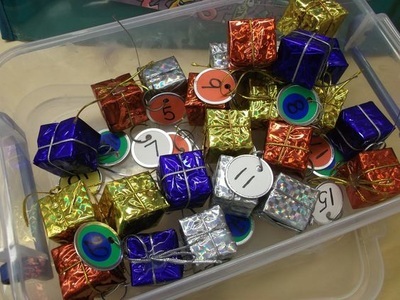 Community member Tracie G. created this tree decorating invitations with everything the children need to make it jolly! The Dramatic play space comes alive this week. Set up a Tree for decorating in this space (but don't decorate it). Provide Holiday linens, and a box of decor for this space. 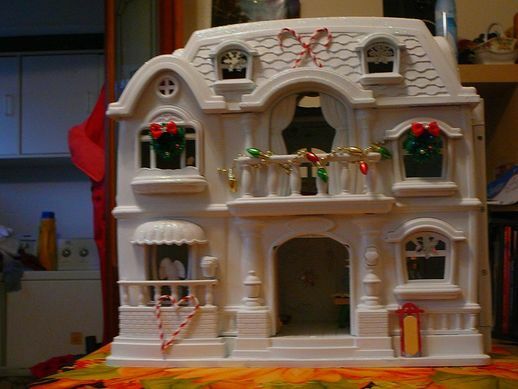 Include: Ornaments, Wreath, Garland, a Tree Skirt, Tree toppers, etc. Let the children decorate "their" tree with care. Shop at your local thrift stores or Dollar stores for reasonably priced/safe items to add to your space. Don't forget to ask your clients if they have items they would like to donate for the space. Don't forget to hang the Stockings! You can create a mantel with Brick Patterned Corrugated Paper, or just add command hooks somewhere for your kiddos to hang stockings on. Let the children deck the pretend houses in the construction space this week. In addition to play houses, you can add play people and cars to your building space this week. 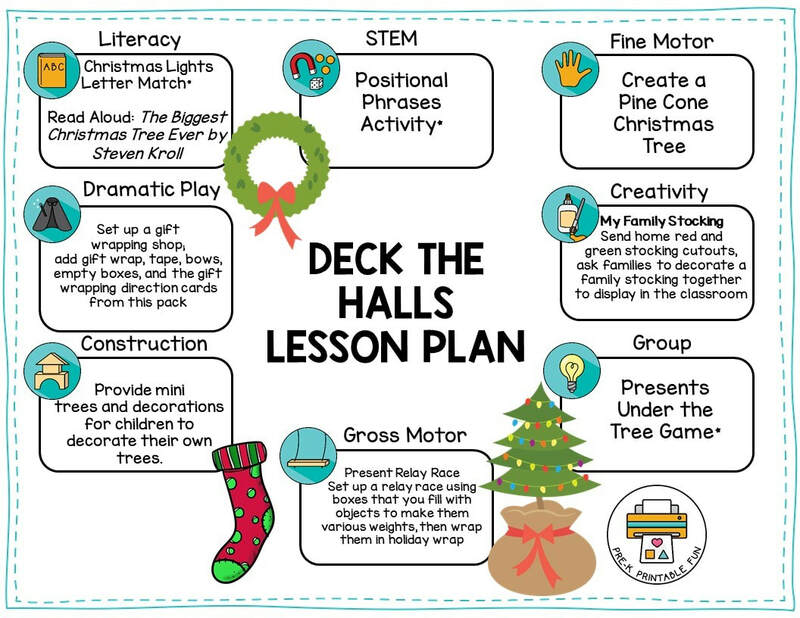 Add mini trees, and pretend gifts that children can use in the space. 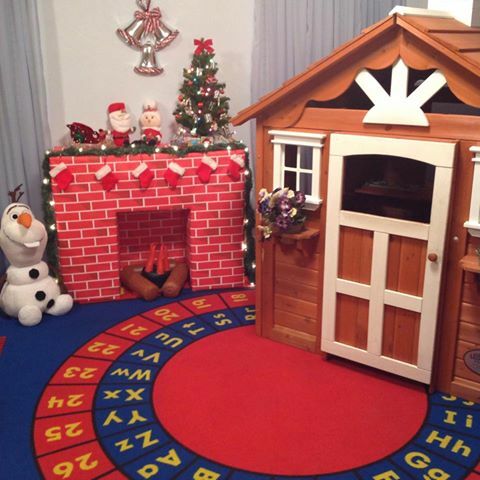 The Christmas Room Play Set from Playmobil will add hours of fun to your construction area. 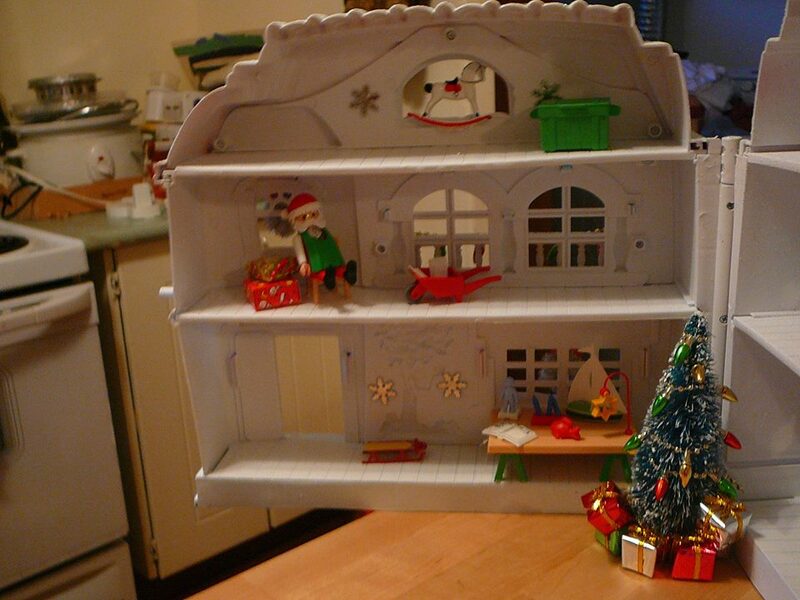 into a Christmas themed play house. Add Lacing toys, and Holiday puzzles to your space this week. Pom Pom Light Color Matching activity and Free Printable was created by Tons of Fun.